In his November 21, 2014 diocesan newspaper column, titled “Looking to the East,” James D. Conley, the Roman Catholic Bishop of Lincoln, Nebraska explained his orientation concerns. 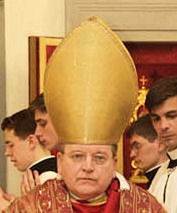 Appointed Bishop of Lincoln by Pope Benedict in 2012, he is very in sync with the old-times-theology of his predecessor Bishop Fabian Bruskewitz as well as that of his mentor Archbishop Charles Chaput from Philadelphia. Since ancient times, Christians have faced the east during the Holy Sacrifice of the Mass, to remember to keep watch for Christ. Together, the priest and the people faced the east, waiting and watching for Christ. Even in churches that did not face the east, the priest and people stood together in the Mass, gazing at Christ on the crucifix, on the altar, and in the tabernacle, to recall the importance of watching for his return. The symbolism of the priest and people facing ad orientem—to the east—is an ancient reminder of the coming of Christ. 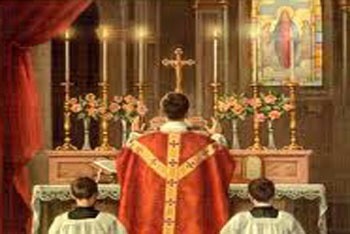 More recently, it has become common for the priest and the people to face one another during the Holy Sacrifice of the Mass. The priest stands behind the altar as he consecrates the Eucharist, facing the people. The people see the face of the priest as he prays, and he sees their faces…. But the symbolism of facing together, and awaiting Christ, is rich, time-honored and important. Especially during Advent, as we await the coming of the Lord, facing the east together—even symbolically facing Christ together at the altar and on the crucifix—is a powerful witness to Christ’s imminent return…. During the Sundays of Advent, the priests in the Cathedral of the Risen Christ will celebrate the Mass ad orientem. With the People of God, the priest will stand facing the altar, and facing the crucifix. When I celebrate midnight Mass on Christmas, I will celebrate ad orientem as well. This may take place in other parishes across the Diocese of Lincoln as well. Very interesting. Eucharist reverts once again to being the priest’s action; and the people are reduced to pious spectators of the priest’s derrière…. And so, according to the Bishop of Lincoln, it is better for the Eucharistic presider to gaze upon a lifeless crucifix rather than look into the faces of very alive men and women out there in church. 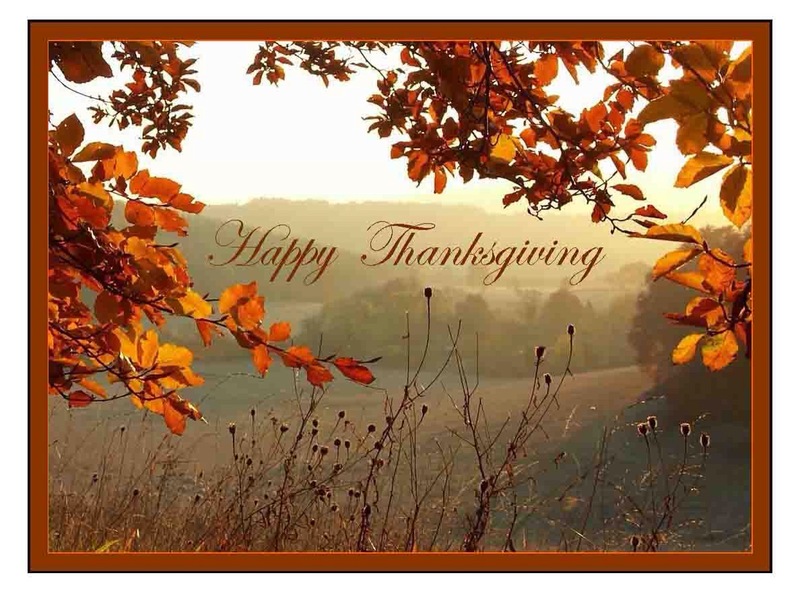 Etiquette in almost every cultural tradition says one does not turn his or her back on people….More surprising for a bishop, it seems to me, is an apparent dismissal of the broad-based significance of the Incarnation and the presence of Christ in the community of faith. Perhaps the bishop from Lincoln has a problem with eye contact? Looking at people eye-to-eye does have certain ramifications…. People who face other people eye-to-eye generally value warm and personable friendships. They are seen as leaders who are personally engaged with people; and they are perceived as trustworthy, honest, and sincere. As I review biblical imagery, it is clear to me, at least, that turning one’s back on other people is a dangerous sign. It often indicates deception in human relationships and goes hand in hand with turning one’s back on God. But…on the other hand, I am not from Lincoln, where life may be different. A Casual Attitude Towards Catholic Teaching…. So is this a failure by young Catholics to understand church doctrine or a failure by church doctrinaires to understand young Catholics? What puzzles the bishops is that young American Catholics “feel completely Catholic even while disagreeing with the church,” according to Archbishop Thomas Wenski of Miami. At the most recent meeting of the U.S. Catholic bishops in Baltimore, he summarised the responses given by young people to a survey conducted on behalf of the U.S. bishops. 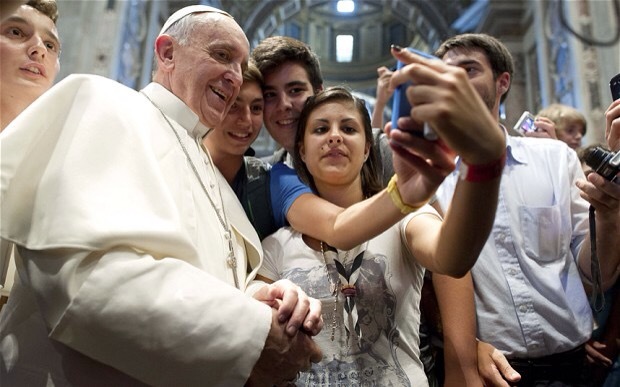 Perhaps many bishops didn’t get the message; but shifting attitudes among young Catholics were pointed out by the Pew Research Center last year. Fully 85% of self-identified Catholics ages 18-29, for example, said in a 2014 Pew study that homosexuality should be accepted by society, compared with just 13% who said it should be discouraged. Older age groups were less likely to favor acceptance; but even among Catholics ages 65 and older, 57% said that homosexuality should be accepted. One of my bishop acquaintances observed that our bishops need to teach more effectively. He would like to revamp parish and school catechetical programs so that they put more emphasis on church teaching. I would suggest, frankly, that our bishops revamp their own leadership styles and put more emphasis on communication that starts with listening. 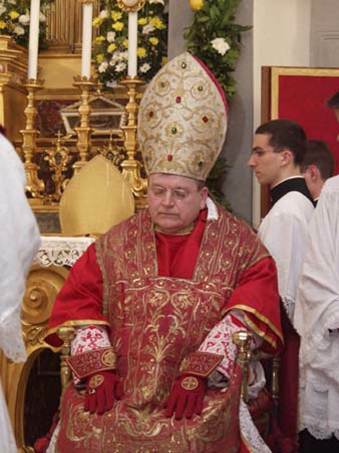 Cardinal Burke has become a strong critic of theologians, like Cardinal Walter Kasper, who would argue that change has been and must be an important part of Catholic belief and practice. Burke is in fact a strong defender of what I would call “flashback Catholicism”……..more anchored in the late medieval past than the third millennium.